I use the sailboat retrospective as an activity to gather information for Sprint Retrospectives, Release Retrospectives or even when I go in as a coach to find out where teams are. It is a fun way to gather opportunities, risks and problems. I believe I may have been inspired for this retrospective by Innovation Games Speed Boat game used for Identifying features that are holding you back. 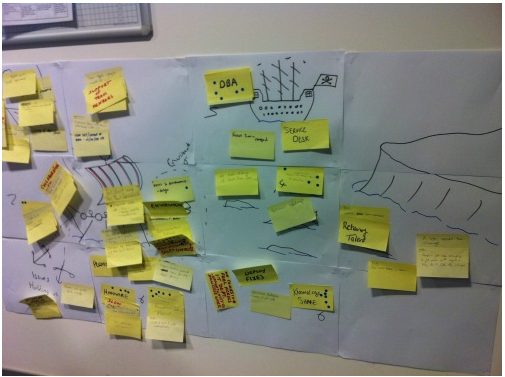 The idea here is that the team are on a boat. On the right hand-side is the Promised Land it is the best development environment they can imagine: an effective team who can take pride in their work, happy customers, opportunities for learning and growth (I usually get the team to create some kind of Vision for what the Promised Land looks like). However there are anchors that are holding them back, stopping them making progress towards the Promised Land (These are the problems). In front of them there be pirates, rocks and other obstacles which could stop the team/organization getting to where it needs to be or even sink the boat completely (These are the risks). There are however opportune winds, things in the organization that we can take advantage of to fill our sails and navigate a course to the Promised Land (These are the opportunities). One problem, risk, or opportunity per sticky and ask them to write clearly. I get them to do this individually so that everyone gets to contribute. Allow time for each person to go up and place their stickies on the picture while the others listen. You can then get them to organize/filter them however you want. Before moving onto driving out some actions. 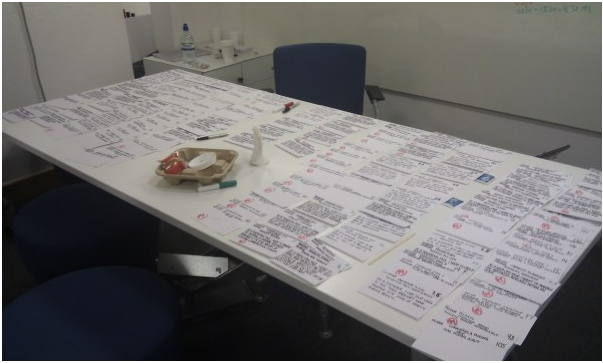 Some challenges that I have encountered as an Agile Coach working in large organisations adopting Scrum and how you could approach such a scenario. There is often a belief that brining in Scrum is going to be just a set of new practices for the development team and they can get benefits without changing anything. I have discovered that it is best to address this one early with the organisations senior team, otherwise they will be wasting their time. So education is important, a workshop with senior stakeholders usually does it, just getting them thinking what it will mean for the organisation to deliver working software in vertical slices rather than building it in layers, what will it mean for the organisation to have dedicated teams. These initial workshops help me and the client understand if they are ready for Scrum. Different change initiatives sponsored by different members of the executive team, this can be particularly painful if you are working with the organisation to move them towards agility, but you discover some other change initiative designed to get control by introducing more management and more structure. There can be only one change initiative, therefore work to join them up, however if they are in conflict work with upper management to see what is most important for them now, sometimes organisations need to take a step back before they are ready to move forward. Just make sure they have the information to make the right decision for them. Sometimes there will be executives who say they are behind Scrum, but behind the scenes they will be fighting a rear guard action to protect their domain, maybe even trying to kill off Scrum inside the organization. This is not always obvious at first, but it will become so when teams struggle to work with their area of the organisation. We obviously want them onboard, so an approach I would use here is to try help them understand how they could benefit from a new world using Scrum. For example the head of testing may be interested to know how in Scrum testing is central to the development process, that they would have much more scope to influence the quality of the products. 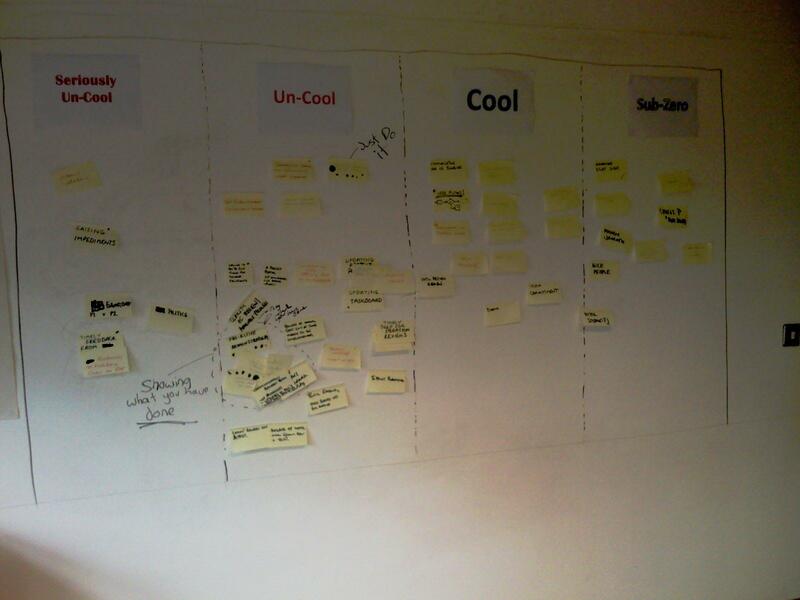 The team was asked brainstorm team practices/team customs/patterns/ways of working, each team member then took it in turn to add their practice to the cool wall, and share it with the rest of the team. Sub-zero was for practices where the team felt they were world class, seriously un-cool was reserved for practices that really weren’t working. I then asked the team to vote for the practice they wanted to work on, I had forgotten my sticky dots so we used marker pens. The team actually picked a practice from Un-Cool as the stuff in seriously un-cool was out of their sphere of influence and the ScrumMaster was dealing with it already. Once we had selected a practice we had some discussion to understand the root cause. 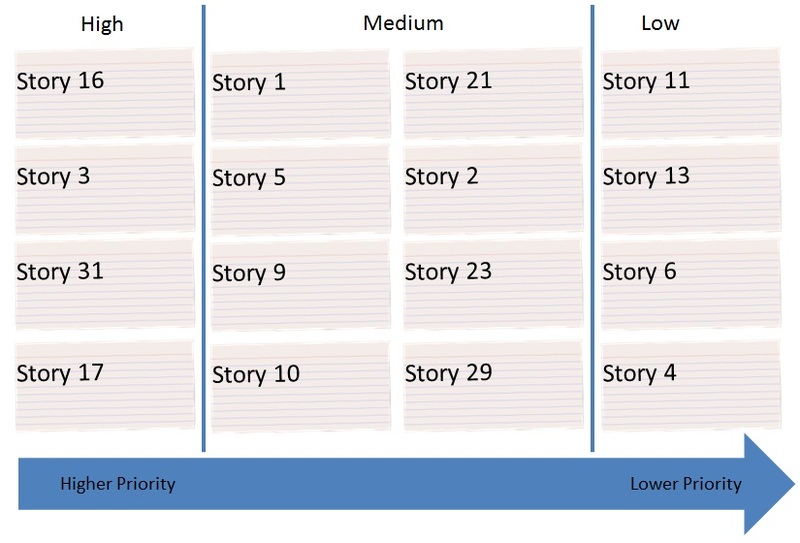 We then moved to generating actions by asking ourselves what we need to do to move this practice one column to the right. Remember you only want a few actions otherwise nothing will get done. 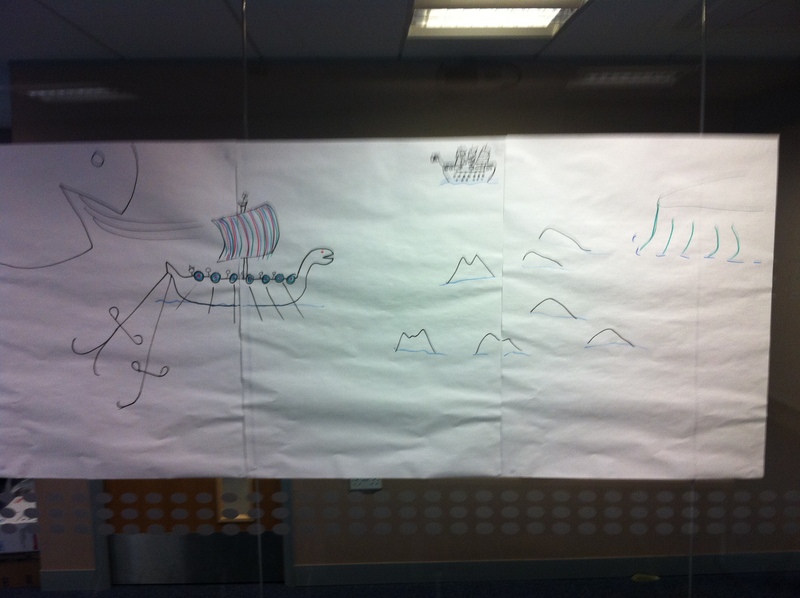 To keep with the car theme I then asked the team to say given their project, what mode of transport they most felt like. 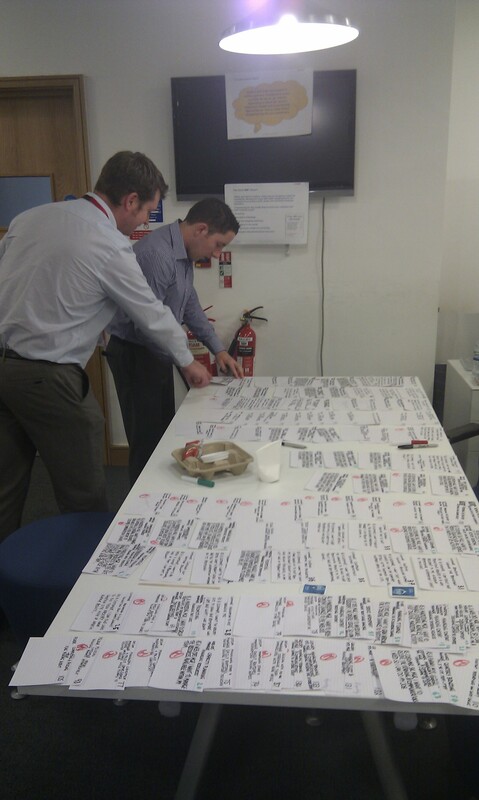 The approach worked well and really helped to create a picture of the work the team does, and uncovered loads of stuff that the ScrumMaster could work on to help the team improve. Also we only spent an hour doing it. A new start, a new blog. This is where I will be posting my thougths on all things Agile. My old blog should still be available.